1. Wide range of appications, such as bottled products, books, magazines, storing snacks and more. 2. Designed with 8.26 height to save space. 3. Light weight and easy to set up. 4. Graphics can be customized. Meiya Counter top displays are made frome corrugated material that are recycled 100% and light-weight. They are easy to set up for user as the simple construction. 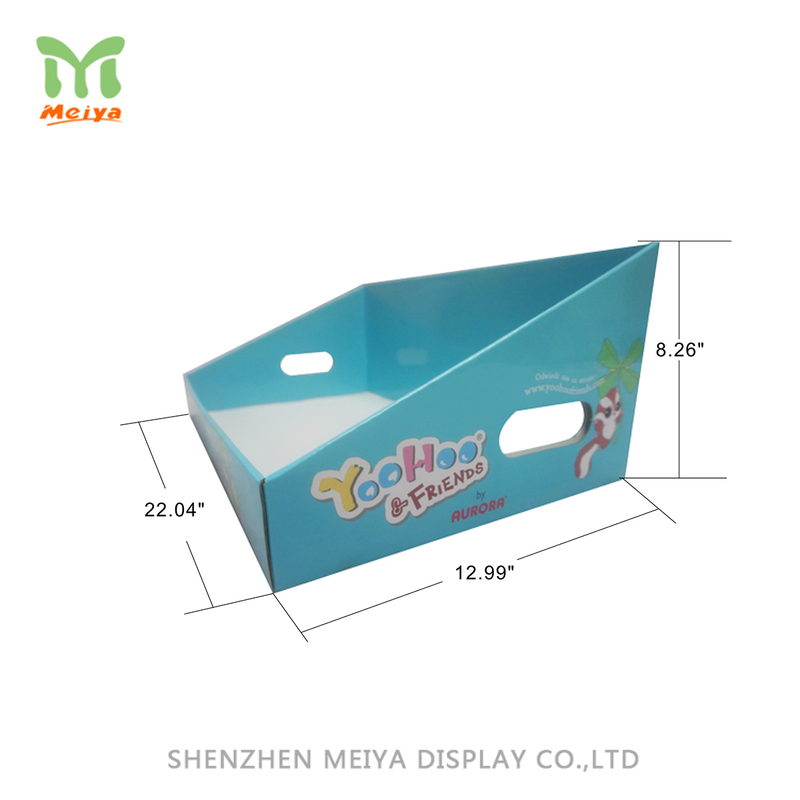 You can present your books, magazines, storing snacks and more in a attractive way to push the sales. Counter top displays, or floor standing type are with customized tier, dimension, graphic to take your products or brands in eye-catching.